Cat Lift Trucks has a complete range of warehouse equipment to cover a wide range of applications including demanding environments and operation in extremes of temperature, such as cold stores. 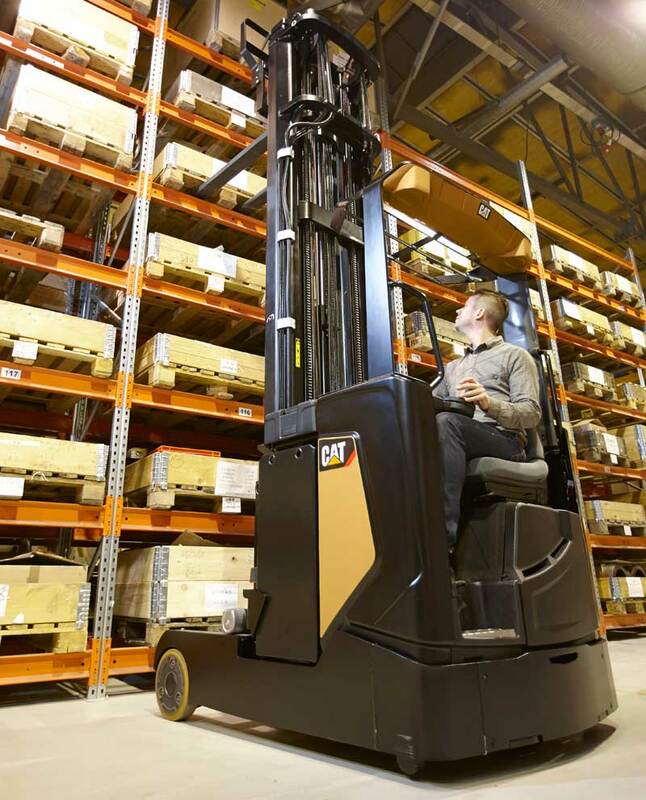 Whatever the product you handle in your warehouse and whatever racking configuration you have, Cat Lift Trucks warehouse range has a solution to help you optimize your warehouse efficiency and return on investment. 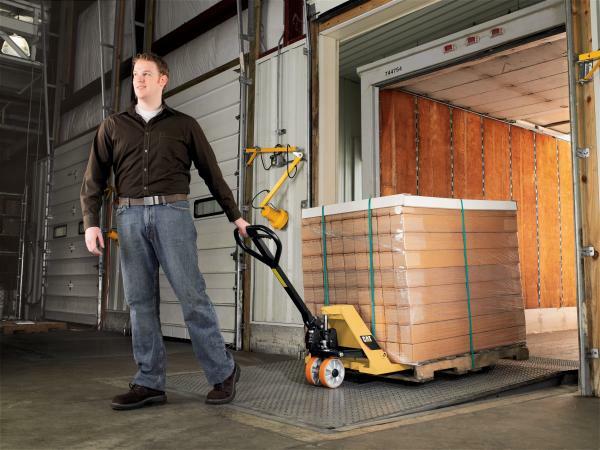 Hand pallet trucks (also known as pump trucks) are still an essential tool for any operator who needs to move single pallets over short distances, and can be used in all kinds of applications, whether in a warehouse or a shop. 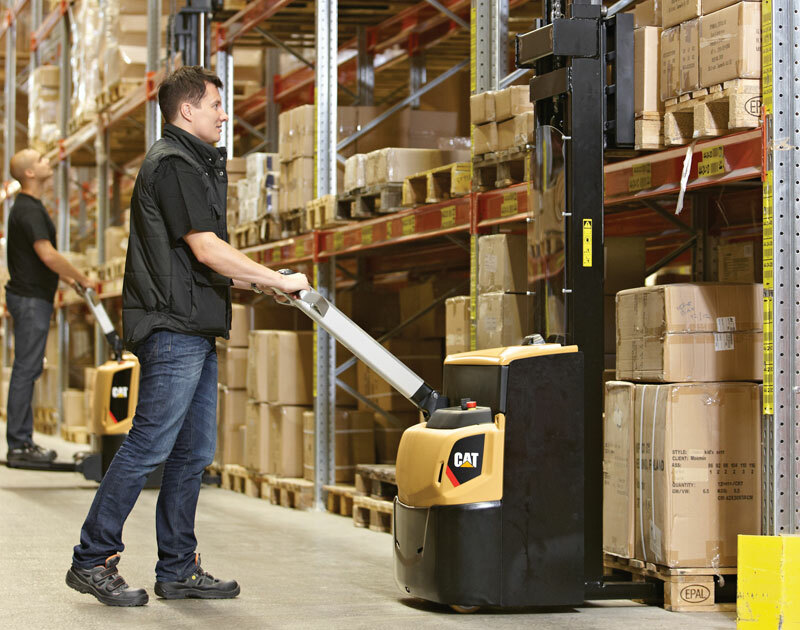 The CAT 2.5 tonne hand pallet truck is durable and like its big brothers, designed to LAST! This power pallet range has been designed for easy maintenance and servicing. Operators love the comfort of our latest models, the ‘pedestrian’ and ‘platform’ trucks are controlled by cleverly designed tiller arms, with precise and intuitive controls that link the operator almost seamlessly to the truck and the pallet load. 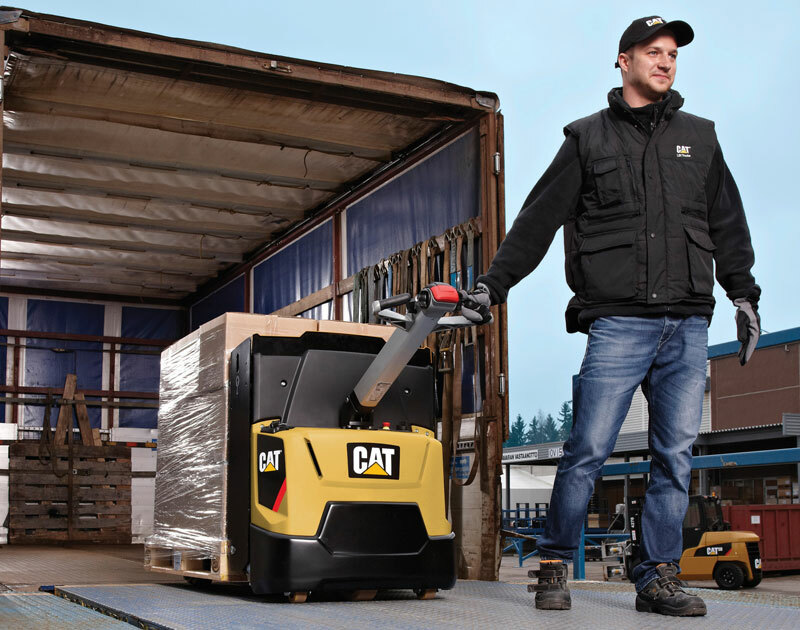 The Cat range of power pallet trucks include pedestrian, platform, stand-on and sit-on models making them some of the most versatile available. 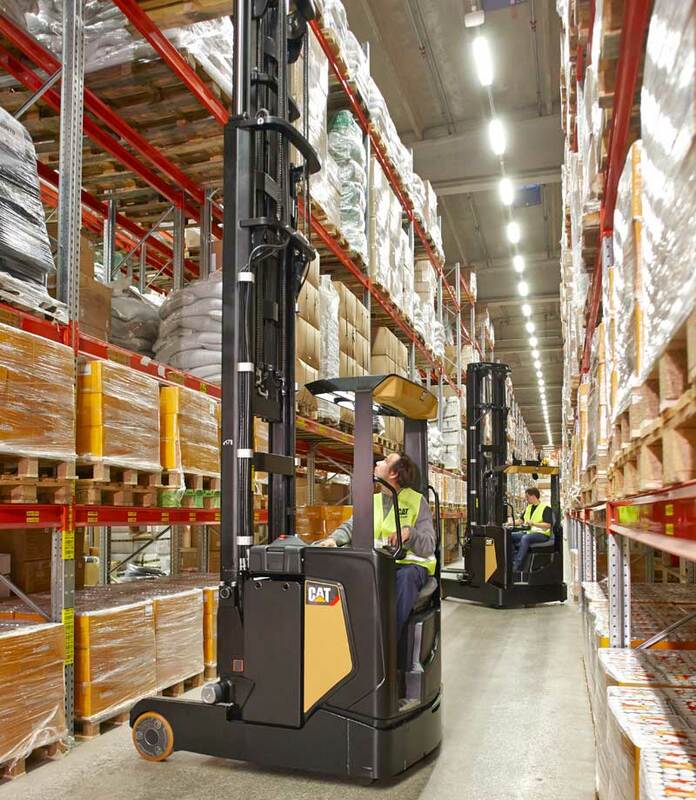 The Cat range of stacker trucks are precision engineered for fast travel and fast lifting, they are smooth, powerful and programmable to suit any application in your warehouse enabling your operators to deliver the productivity you demand. This range include pedestrian, platform, stand-on and sit-on models designed for stacking pallets up to 6.5 meters and for horizontal transport over both short and long distances. They are available in a wide variety of masts and nominal capacities from 1.0 to 2.0 tonnes, including straddle models for handling wide loads and initial lift models with greater ground clearance for use on ramps and uneven surfaces. We offer a full range of order pickers including seven low-level models and two high level trucks to suit any requirement you may have in your warehouse. They offer a host of productivity-enhancing and safety features, such as fold down gates, non-slip mats and grab handles, ensuring secure working, even at the highest levels. 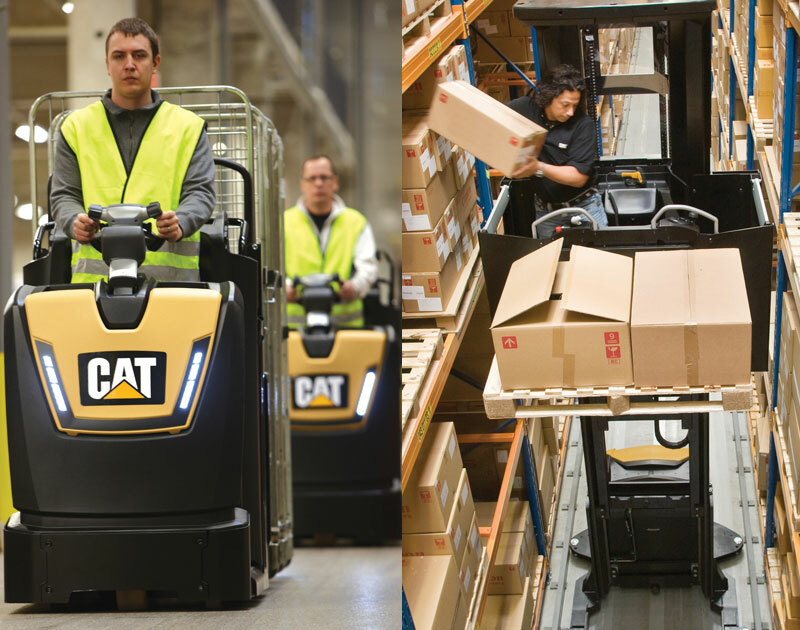 When designing its new NR-N2 reach truck range, Cat® Lift Trucks focused on increasing profitability by maximising performance, empowering operators and cutting costs. The results can be seen in class-leading residual capacities, innovative ergonomics, high energy efficiency and low maintenance needs. and stops during reach movements and give accurate control of tilting and side shifting. choice of user-set performance modes or engineer-customised settings for different needs. at high lifts is the best in this class. variety of configurations. You’re sure to find the perfect one for your application. Need more information? Ask us now! temperatures of up to -35’C.